Charlotte takes a netball coaching session. As a keen sportswoman and a volunteer at the London 2012 Olympics, Charlotte Pease has since developed a thirst for coaching where she is learning new skills all the time that can also help her in her chosen career. "Physical activity is something that I love to participate in and something that I hope to engage and inspire people to take up too. I started to engage in sport after my PE teacher at school inspired and enthused me. She created the drive within me that made me want to become a physical education teacher – so thanks very much, Mrs H! "When I was in year eight or nine at school, she got me involved in sports leadership, in which I loved. I soon became a Young Ambassador for Amber Valley through the Youth Sport Trust. "I got to meet Olympic athletes and even persuaded Craig Heap to come and deliver an assembly at school. I delivered mini Olympic events and spoke at conferences such as the Championing the East Midlands 2012 Legacy Conference when I was 17 or 18. "While at school my passion for sport really grew, and I coached the school netball club in year 11, year 12 and year 13, which confirmed my love for coaching. To receive the Young Sport Leader of the Year award in Amber Valley was a bonus. "When I was 17, I wanted to further develop my knowledge in netball and completed my level 1 coaching badge through a Coaching Derbyshire bursary. 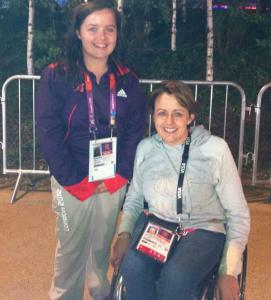 Charlotte met Dame Tanni Grey-Thompson when she was a London 2012 Games Maker. "In 2012 I volunteered at London Olympics as a Games Maker – I drove golf buggies around the Olympic Park as a member of the Games Mobility Team – which was an amazing experience, and what a way to give back! "As I completed my undergraduate education at University, I started to play netball for a local Netball club called Queen Bees Netball Club and soon started coaching for them. "Within a year I had become joint head coach with a fantastic coach called Laura and now I am head coach of the ladies netball club at the age of 22. 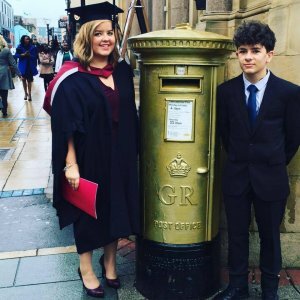 Coaching and volunteering experience helped Charlotte secure her place at university. "As my coaching career continues, I am also undertaking a PGCE in Physical Education at Loughborough University at the moment. The experiences that I have gained through coaching have only developed and allowed me to progress to this part in my career. "The voluntary work that I have completed allowed me to stand out from the crowd and get into the top university for PE teacher training. Now to get a job! 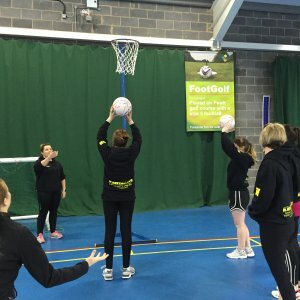 "Queen Bees Netball Club (based in Ilkeston) is a very friendly netball club, I have been a part of and we pride ourselves on welcoming people into the sport and giving them the opportunity to succeed. We currently have three teams, but are ever expanding and developing. Charlotte is continuing her personal development, recently attending a Derbyshire FA mentoring course. 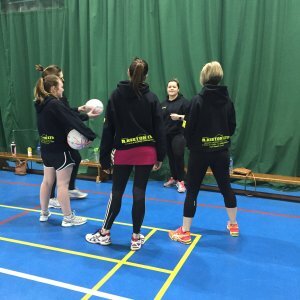 "As a coach or teacher, you never master the profession but are continually learning, I have just completed my level 2 netball and I'm always looking for ways to develop my players and coaching style. "My level 2 was half funded by my club and half funded by Amber Valley Borough Council Sport and Leisure – without this support I could not afford to continually develop and complete more coaching awards. 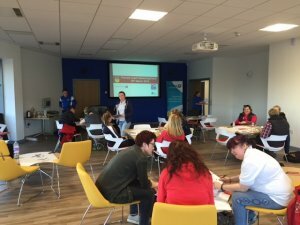 "Completing coaching qualifications not only develops you as a coach and your knowledge but it's a fantastic way to meet new people and liaise with other coaches that you can bounce ideas off of. "I also recently a course at the University of Derby run by the Derbyshire FA and Coaching Derbyshire, which was a female coach mentoring event, and I most certainly have been inspired by some fabulous coaches while completing my level 2 Netball." "I would say to people, be the change – find something your passionate about and run with it." Want to be a coach or volunteer? To find out more about how you can get into coaching, you can peruse our course finder. You can also sign up to Coaching Derbyshire to get e-newsletter updates and check out the Derbyshire Sport volunteering pages.